Navigating roads nowadays is easy - GPS solved that for us years ago. Navigating indoor areas and complex buildings is often still quite hard. A robust and well thought-through signage system is a must, but what if our favourite little devices could help us? 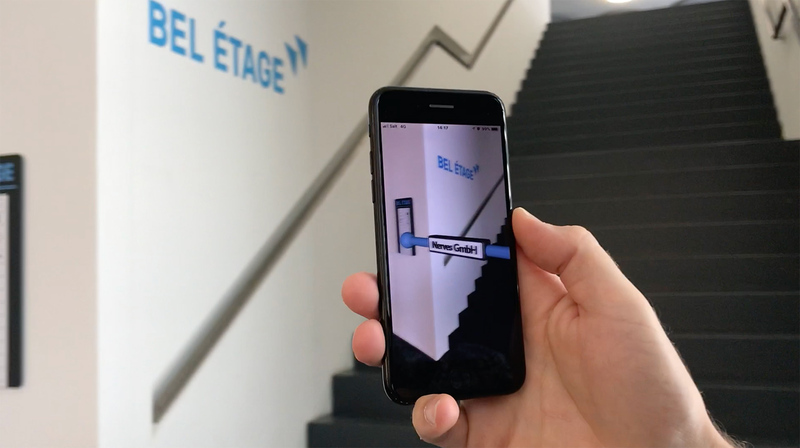 We set-out to explore the usage of augmented reality for building signage, taking advantage of powerful image recognition software and world-space tracking algorithms. Our proof-of-concept shows how a static sign can augment in the digital realm to become a bit more useful. In our experiment we demonstrate how such an interface could work: navigational signs are automatically recognized and extended to show the path to the final destination.